What I think of as The Official Champagne Season always starts for me with the Wine Media Guild’s December luncheon, the first Wednesday of the month. 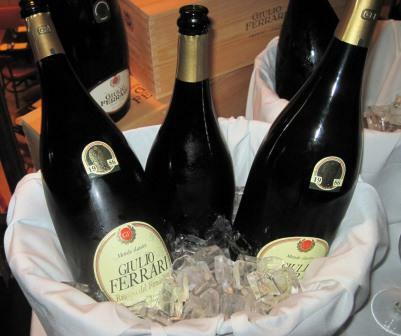 Always held at Felidia Restaurant, and always organized brilliantly by Ed McCarthy, the author of the thorough and authoritative Champagne for Dummies, this WMG gathering always presents an in-depth look at a single aspect of Champagne. This year’s theme was rosé. Rosé Champagne, as Ed pointed out, was once an unfashionable item in the United States, treated with respect only by wine professionals. Not any more: rosé has become just about the hottest category of Champagne, with sales rising and more and more producers sending us examples of the kind. They are now available at every level of Champagne production, from basic non-vintage bottlings, through vintage and up to special cuvées. The popularity of rosé seems to be more than just a fad: Behind it lies the very good reason that rosé Champagne is very adaptable to all sorts of food, and consequently is one of the easiest of the Champagne types to drink all through a meal, even with red meat courses. At Felidia we pretty much stuck with fish – the pièce de résistance was a 26-pound salmon, roasted on a bed of salt – but no one doubted that at least a half dozen of the fuller-bodied wines we tasted could have stood up to a nice juicy steak. NV Bruno Paillard Brut Rosé Premier Cuvée ($70-$75) “Subtle and delicate,” Ed said, “the driest Champagne we tasted – less than two or three grams of residual sugar. My kind of Champagne: I love it.” I did too: this was one of my favorites of the day – a nice way to start. NV Ayala Brut Rosé ($48-$54) Ed: “A sister brand of Bollinger, who purchased a major share in it ten years ago, but exactly opposite Bollinger in style – light, delicate, low in dosage – and probably the best buy in our whole tasting.” Another of my favorites – I like the light, elegant style – but then I’m a fan of Ayala’s Champagnes generally. NV Henriot Brut Rosé ($58-$62) “Another firm with a long history, but not well-known in the United States because they were off the US market for a long time. Henriot is quality: Their tête de cuvée Les Enchanteleurs is probably the best buy among that class of Champagnes – an outstanding wine.” I loved this wine too, another in that light, elegant style, like the first two. NV Gosset Brut Rosé ($70-$80) “An old favorite, an old name, showing beautifully today. Again, a house that emphasizes Chardonnay – 58% in this rosé – which is nevertheless a powerful Champagne.” Gosset is one of my favorite producers too: I find it absolutely reliable at every level, and its special cuvées are usually extraordinary. 2004 Pol Roger Brut Rosé ($110) “This too needs time. It’s Pinot noir-dominated, has very low dosage, and is really not yet ready to drink.” While I agree it will get better with time, I thought it was already pretty fine. Pol Roger also numbers among the producers I always trust. NV Bollinger Brut Rosé ($85) “Always a big Champagne, always a great Champagne. 64% Pinot noir, low dosage, firm, austere, and just lovely.” I can only agree: I can’t remember ever having a mediocre – much less a bad – bottle of Bolly. This was an impressive lineup of wines. Ed thought it one of the best the WMG had had, and once again I agree. He is also in the process of organizing the wines for the New York Wine Press’s annual Champagne Gala, scheduled for the week before Christmas at The Brasserie. He says that this year’s focus will be vintage Champagnes, to which I look forward and about which I plan to report here. Stay tuned: I’m keeping an informal count of the number of Champagnes Ed says he loves, and it’s already clear that he’s the Don Juan of sparkling wines. We are now deep in December, which means deep in the holidays, which means deep, deep, deep in the contemplation and purchase, gifting and consuming, of Champagnes. The two wine-journalist groups I belong to, the Wine Media Guild and the New York Wine Press, always sponsor Champagne lunches this month. My friend and colleague in both organizations, Ed McCarthy, who is the author of Champagne for Dummies and the American authority on Champagne, selects and arranges the wines for both events. 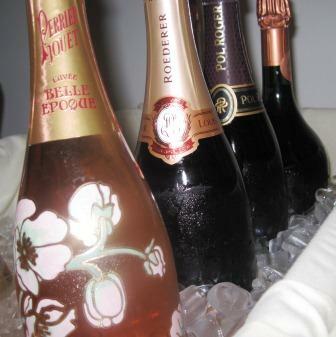 The NYWP event, coming up soon, this year features rosé Champagnes. 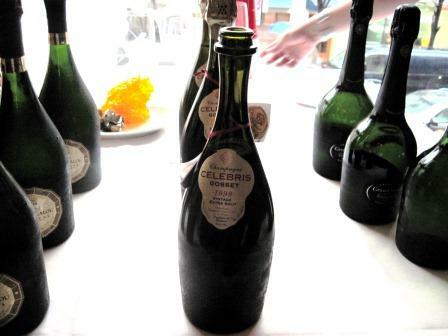 For the WMG event, which occurred two weeks ago, Ed chose têtes de cuvées – the top-tier wine of each Champagne house. 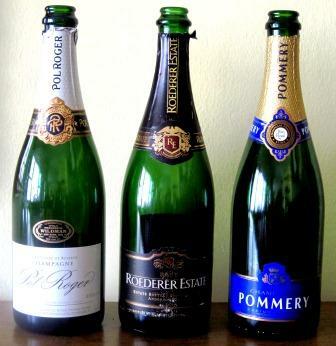 All the grandes marques – the great Champagne houses – and most of the smaller producers have a tête de cuvée. 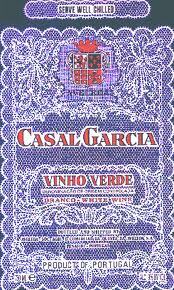 This will typically be the best wine they offer, blended from the best vats from the best vineyards in the most prized areas. 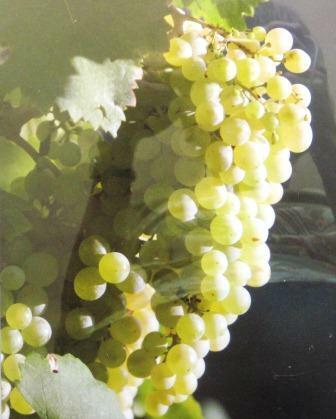 It may be a blanc de blancs or a blanc de noirs, it may be a single-vineyard wine – but more often it is a blend of Chardonnay and Pinot noir from many different vineyards in Champagne, analogous to each house’s basic non-vintage brut but selected – commonly from a single fine vintage – and fine-tuned to reach an altitude of quality – and price, alas – well above that of the house’s basic wine. Each house intends its tête de cuvée as the ultimate holiday gift, the peak holiday drink, the perfect, inevitable special-occasion toast. The wondrous thing is that they most often succeed, producing nectars so lovely, so attention-grabbing, that the most novice winos immediately realize that whatever that is that they have just put in their mouths is something special indeed. It’s even harder to describe the taste of têtes de cuvées than it is regular Champagnes, because you are dealing with a degree of refinement, almost rarefaction, that operates for most palates in a realm of nuance and complication. Don’t look for frontal assaults: these are wines that appeal primarily by insinuation, intrigue, intimacy. Sure, the basic elements of Champagne are there – the enlivening sparkle, the wheaty, toasty flavors, the gentle taste of berries, the hints of mineral – but they are there simultaneously both vivid and subtilized, forward yet etherealized. Têtes de cuvée Champagnes have to be tasted with attention: They deserve it and reward it. 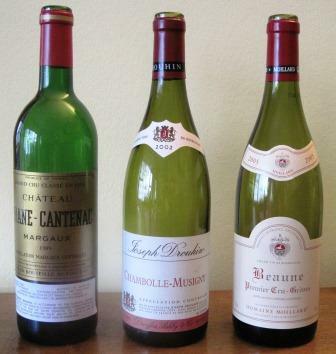 And note well: Têtes de cuvées always reward and often demand cellaring. 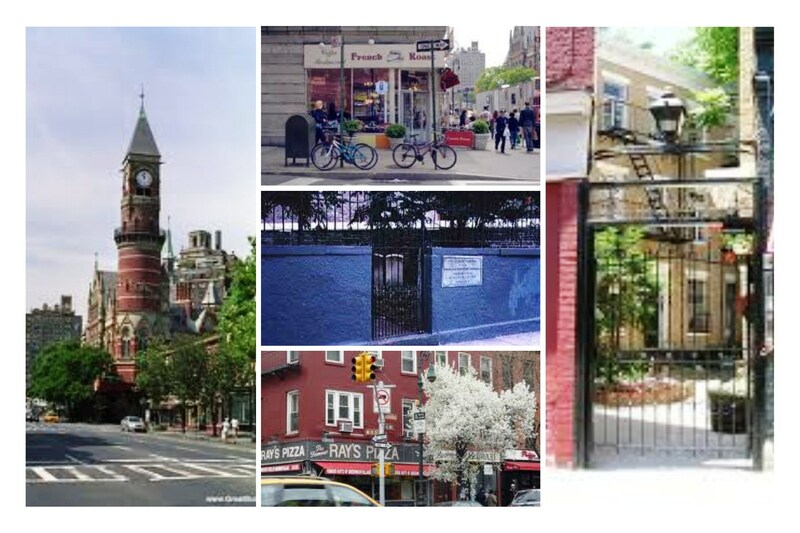 They improve with age, integrating their many flavor components and growing in complexity and depth. The best of them get even better with the passing of time. 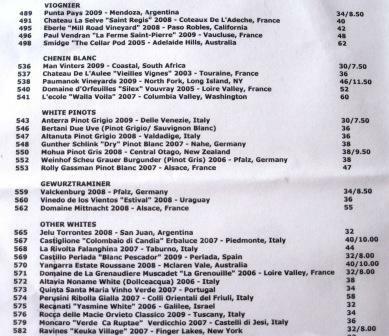 The 14 wines presented at the WMG luncheon at Felidia challenged ranking and discrimination. There were of course differences in each house’s style and differences of vintages, but the quality level was so high as to render any sort of standard assignment of points futile, if not fictional. So I’ve simply divided them into three groups: those that pleased me most; those that pleased me slightly less; and those that pleased me less than that. I add the emphatic caveat that those that pleased least (on this one day, in these special and unusual circumstances) still pleased me a great deal: There wasn’t a single wine here I couldn’t happily drink. 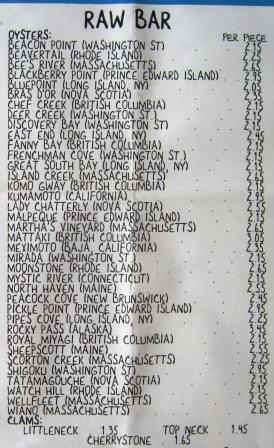 The wines in each group are listed in alphabetical order, along with their suggested retail prices. Alfred Gratien, Cuvée Paradis nv; $130. A rare non-vintage wine at this level: Krug is another major house to do similarly – but Krug of course does not make an ordinary Champagne (if there is any such thing). Ayala, La Perle d’Ayala Nature 2002; $145-$150. 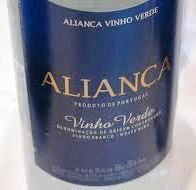 This wine steadily opened in the glass, getting better and better with breathing. “Light and elegant,” Ed called it. Mumm, Cuvée René Lalou; $160-$175. “Drinking perfectly now” was Ed’s judgment. Pol Roger, Cuvée Sir Winston Churchill 1999; $190-200. Normally one of my very favorite Champagnes, this day it tasted closed: needs time. Charles Heidsieck, Blanc des Millénaires 1995; $179-$190. Laurent-Perrier, Grand Siecle NV; $110-$120. Perrier-Jouët, Fleur de Champagne 2002; $150-$165. Taittinger, Comtes de Champagne 2000; $130-$135. 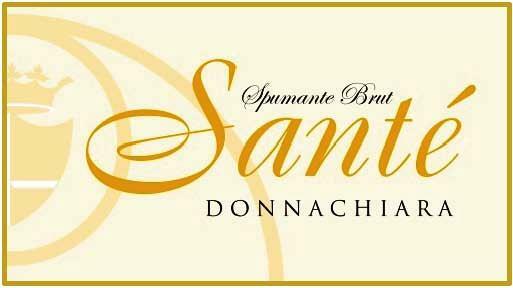 Add one more name to the growing roster of distinguished wineries in southern Italy: Donnachiara. This family-owned enterprise vinifies all the classic grape varieties of Campania – the whites Falanghina, Fiano, and Greco, and the noble red Aglianico. I’ve been singing praises of those varieties for 30 years now, and nothing makes me happier than to see a new winery enter the scene with a line of elegant and totally characteristic wines. This raises the bar for everyone, producers and consumers alike, and that can only be good. 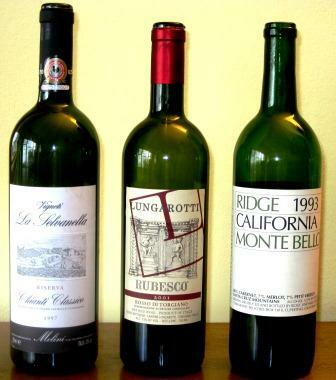 Unfortunately, it is still news to too much of the wine public that those four varieties are among the finest in Italy. 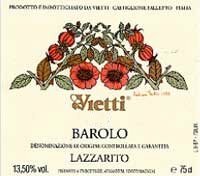 Aglianico in particular I firmly believe to have the potential to become the noblest red variety in the whole vine-laden peninsula. When the time comes that producers and consumers accord Aglianico the respect that the Piedmontese now give Nebbiolo and the Burgundians have long granted Pinot noir, I’m persuaded this ancient southern variety will give them both a run for the money. 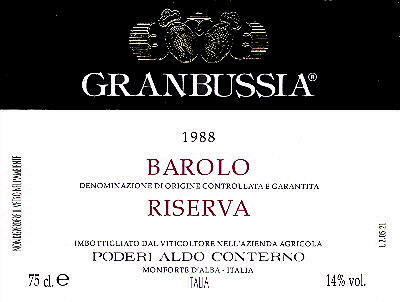 The grape yields a wine capable of extraordinary depth, complexity, and longevity, as Mastroberardino’s fabled 1968 Taurasi Riserva has been showing for four decades now. 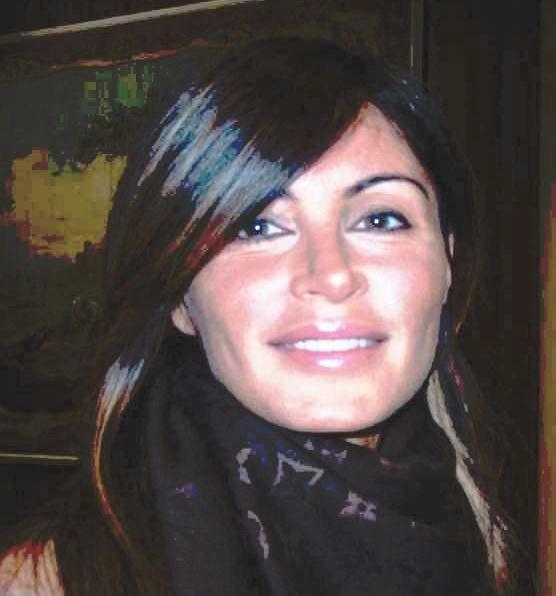 Ilaria Petitto is the fifth and newest generation of the family behind Donnachiara and the latest in a long line of dedicated and capable women to head the enterprise. They have been grape growers for five generations, making wine for their own consumption. 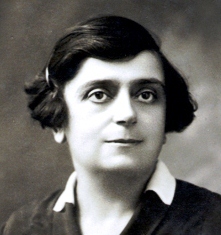 It was the drive of Ilaria’s mother – the Donna Chiara for whom the winery is named – to fulfill the dream of her mother and grandmother (Marchesa Donna Chiara Mazzarelli Petitto) to produce pure and elegant versions of Campania’s most characteristic indigenous varieties. The family had for some time been accumulating vineyards in Irpinia’s prized zones – Taurasi for Aglianico, Tufo for Greco, and so on. 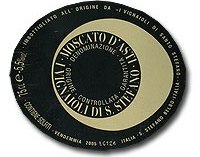 2005 saw the birth of the commercial winery. 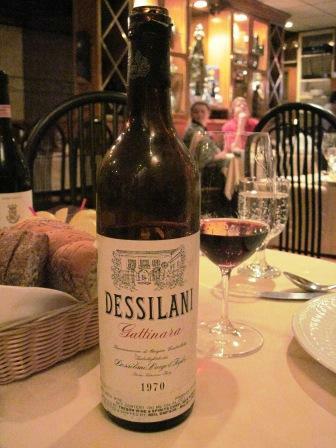 Irpinia isn’t a familiar name to most American consumers, but it deserves to be as famous as Napa, or – dare it be said? – the Côte d’Or. Its hills and valleys lie about 30 kilometers (more by twisting local roads) east of Naples. 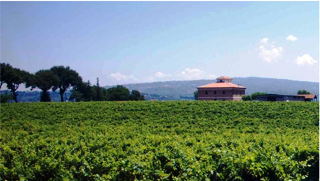 Its high, cool slopes and rich volcanic soils support a vigorous agriculture – Irpinia is famous for its hazelnuts, among other crops – and its microclimates provide the prolonged growing season that Aglianico in particular demands. That fecundity was one of the main reasons the ancient Romans called the whole region Campania felix — Campania the blessed. Irpinia is the home, the center, for southern Italy’s most prestigious DOCG wines, Fiano di Avellino, Greco di Tufo, and Taurasi. In short, Irpinia is a formidable wine zone, with a potential for quality on a par with more famous zones in Italy and the world – so the Petitto family’s choice of locations for their vineyards was canny in the extreme. I had the opportunity to taste the whole line of Donnachiara wines last week in Ilaria’s company. We started with a seemingly modern take on an old grape: a Falanghina spumante. Dry and refreshing, with nice Falanghina minerality and acidity, this charmat-method sparkler might well hearken back to a very old tradition. In the south, they used to make sparkling wines out of all sorts of grapes, even the austere Aglianico, so the only real surprise about this wine is how enjoyable it is. 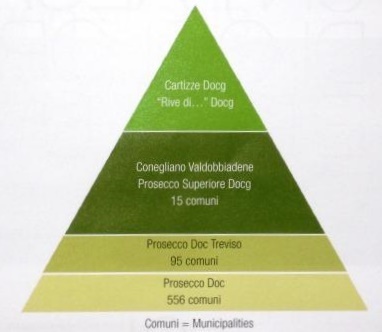 Donnachiara’s still Falanghina showed equally well, with even more of the characteristic minerality and acidity in evidence. It even displayed a touch of elegance. While that is not a common trait in Falanghina, which usually relies on a sort of straightforward friendliness and liveliness, I soon found out that elegance is a hallmark of all the Donnachiara wines – most markedly the whites, but also the Aglianico-based wines as well. The 2010 Fiano di Avellino (all the whites were of the 2010 vintage) seemed the stand-out white wine to me. 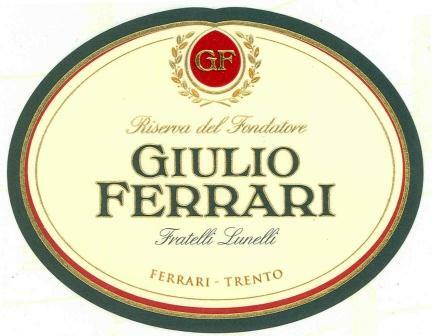 Medium-bodied and exquisitely balanced, with classic Fiano fruit – a distinct taste of almonds and hazelnuts in the long finish – and a pronounced elegance, already showing signs of depth and complexity, this is a wine that is impossible to fault. 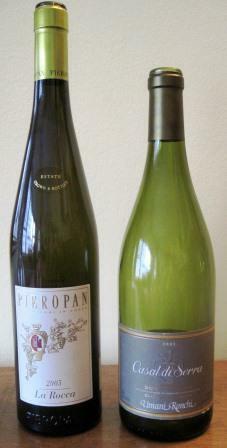 Given the Fiano grape’s well-known (at least it is well-known in Campania) ability to age, it would be a good idea to cellar some bottles of it for 5 to 10 years – if you can keep your hands off it. At a suggested retail price (SRP) of around $18, that may be difficult. I liked the Greco di Tufo too: It showed perfectly the wonderful, slightly oily, almost olive-y, distinctly earthy flavors of its variety and zone. More robust than the Fiano, and not its match in elegance, Greco to my mind and palate makes the perfect wine for shellfish and grilled finfish, while I’d rather keep the Fiano for fowl and veal and even pork – but that’s very subjective: Other folks may well prefer the match the other way around. For the record, I drank both with a salmon carpaccio garnished with flying fish roe, and both were delightful. SRP for the Greco is also around $18, Falanghina around $16. 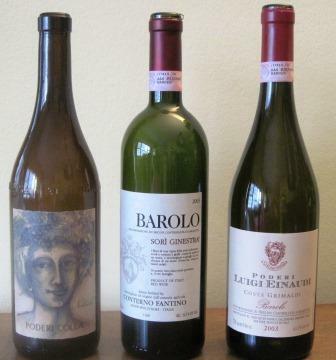 The red wines formed a handsome suite of increasing refinement: Campania Aglianico IGT ($18), Irpinia Aglianico DOC ($20), and Taurasi DOCG ($35). The IGT wine sees no wood at all, the DOC 4-6 months in barriques, and the DOCG 24 months – but only a small fraction of the barriques are new, so the wines show no striking oak flavors. Instead, they all reveal increasingly vivid characteristics of Aglianico, ranging from a deep, black fruit flavor that resembles intense sour cherry, to a compound of mineral-and-earth-and-mushroom that runs through them all like the bass support in a Charles Mingus number. Above all, they strike the palate as elegant – poised, complex, big enough to be assertive but polished enough to be inviting. These are very welcoming – and very welcome – wines. Donnachiara wines are imported by a division of Charmer Imports.